Coaching others to improve their technical riding has been a passion of mine for the last 15+ yrs. And, as a new Dad, I get it - we're all busy. We need our learning to be efficient and effective. Using the RipRow with proven LLB / RideLogic methods, I combine my Educational Specialist cert. (Ed.S.) with my Engineering Degree (M.E.) along with title winning race experience, to help riders break down learning barriers and build a strong foundation of technical skills for safer, faster, better riding. Customized setups and coaching differs from today's cookie-cutter customer experience. This results in a truly valuable experience, one that leaves you with multiple "Ah-ha!" moments, and plenty of purposeful practice. And it saves lives! How? Customized bike setups enhance and enable the ultimate ride experience, while world-leading skills coaching prevents injury from rider failure. When the ride feels good, you ride more, better. Coaches Lee McCormack, Kevin Stiffler and Amy Shenton work at Valmont Bike Park with this women's only team to increase their Shred Skills. 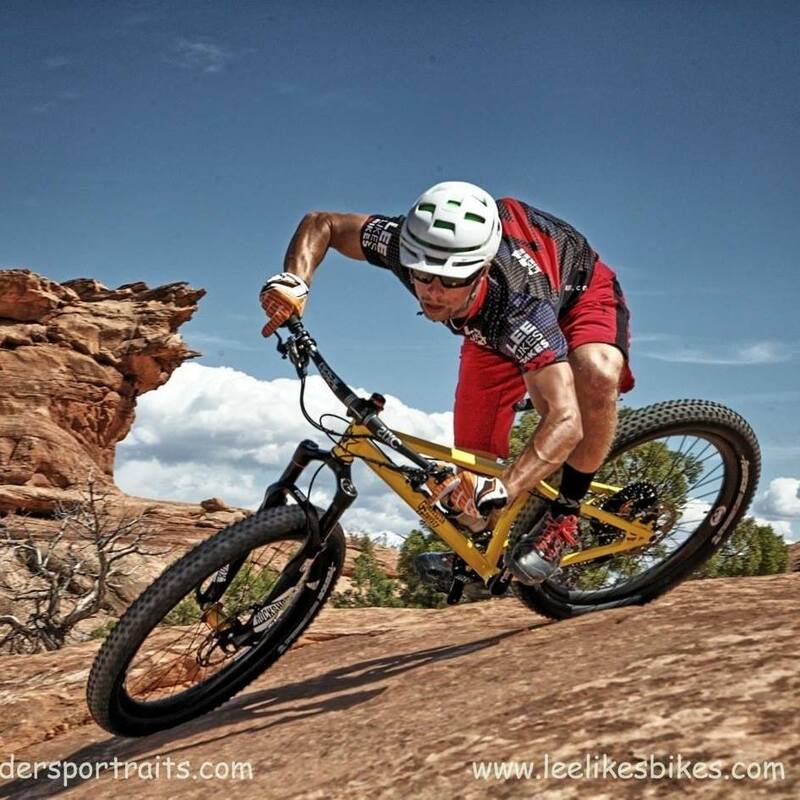 Showing clients in Moab, UT one way to Shred an off-camber, downhill sloping corner.